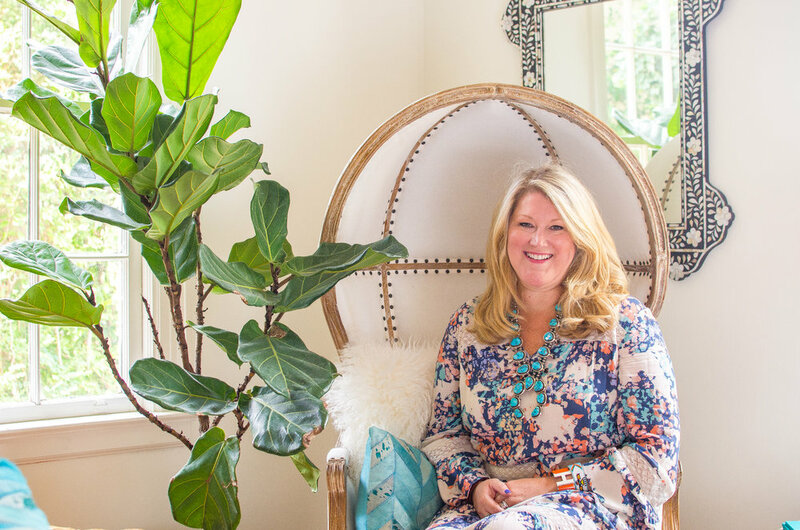 Holly Hollingsworth Phillips, owner of The English Room in Charlotte, North Carolina, is an interior designer and tastemaker. Phillips is known for her elegant, eclectic and colorful interiors with a penchant for contemporary art. According to the designer, “Color makes people happy!” She loves mixing the traditions of the past with the modern style of the future. The English Room blog, penned by Phillips, has become a daily must for many hungry design followers. She has been featured in Traditional Home, Southern Living, Elle Decor, House Beautiful and Domino, as well as multiple local publications.